Fortress Guest House has always been an amazing property located in Sector III of Salt Lake City in Kolkata. All rooms have been decorated with a lot of care and attention. The rooms have been painted in a number of warm colors and the curtains are vibrantly colored. The rooms are well-furnished and have been provided with tiled flooring. All rooms are well-lit and a number of wooden elements have been used throughout the room. The additional features provided by the hotel are free Wi-Fi, an uninterrupted power backup source, parking provisions, card payment in all forms, and CCTV cameras. The front desk service is also elegantly decorated and is handled by helpful and experienced staff. 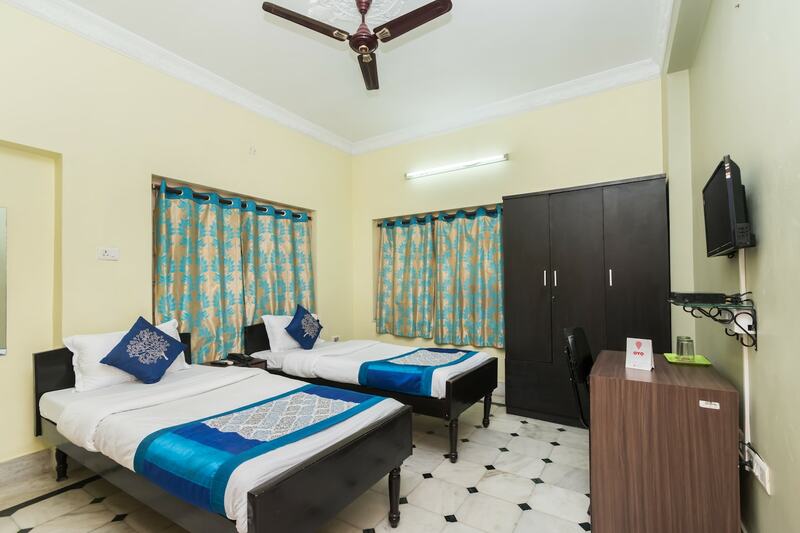 The hotel is surrounded by a number of essential facilities such as the FD Park Bus Stop, Bifhan Nagar Railway Station, Baker's Nest, Baati Chokha, Janata Stores, and AMP Baisakhi Mall.